Get a Paytm movie voucher worth Rs. 100, on each transaction (T&C apply). 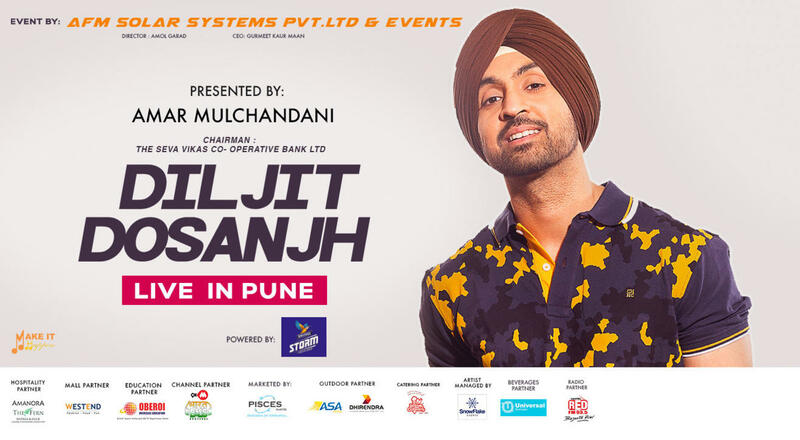 For the very first time, Diljit Dosanjh will be live in concert in Pune, Maharashtra. Singer, actor and the star of Punjab, Diljit Dosanjh rose to fame with hit songs Like Ek kudi, Do You Know, Raat Di Gedi and movies like Udata Punjab and Soorma. Get ready to be swept away from the floor by his mesmerizing voice and since it must be mentioned, he also has the looks to kill. Hurry up, book your tickets now and watch Diljit perform live at the biggest musical concert of the year!